The DuraFon 1X Single Line Industrial Cordless Phone System offers a communication solution for real world applications for small businesses (restaurants and resorts) or for large industrial facilities (farms, manufacturing plants, and multi level office buildings). 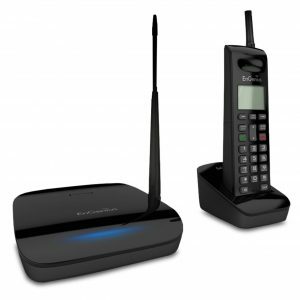 This basic system includes one DuraFon 1X receiver/base and one DuraFon 1X handset but the system is scalable with up to (9) to handsets that can be assigned to one DuraFon 1X base/receiver; or expanding the system with the purchase of additional base stations and handsets. DuraFon 1X Single Line Industrial Cordless Phone System is an ideal starter phone system for small companies or as a complementary system with an existing PBX or IP-PBX phone system when companies need a longer range communication solution than what DECT or Wi-Fi phones can deliver. 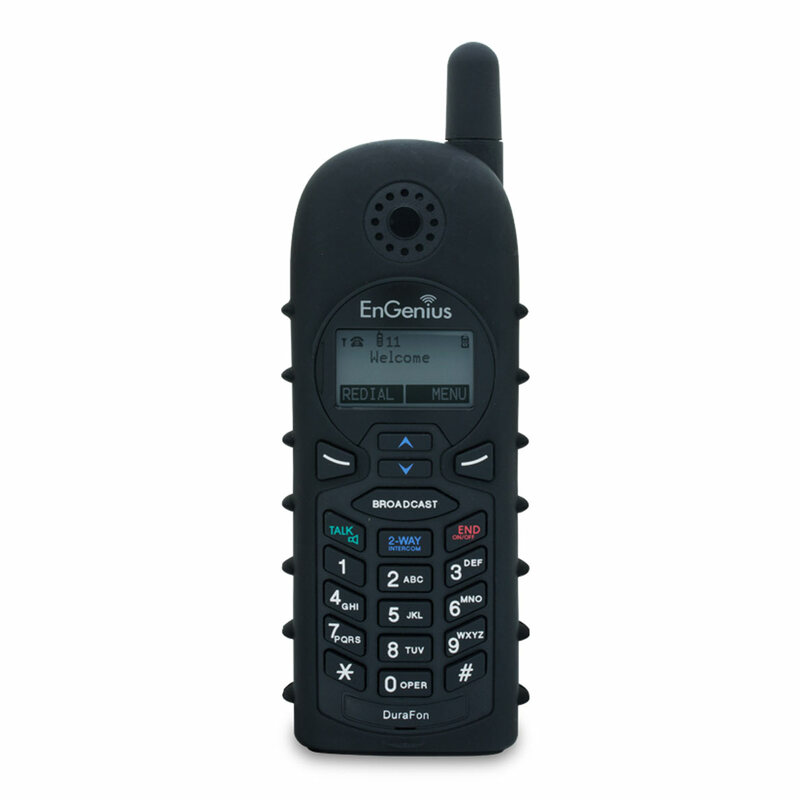 Businesses can add to their system, choosing between the full functionality of portable, ruggedized DuraFon 1X handsets or if they just need a durable 2-Way (walkie-talkie) solution for more internal communication. 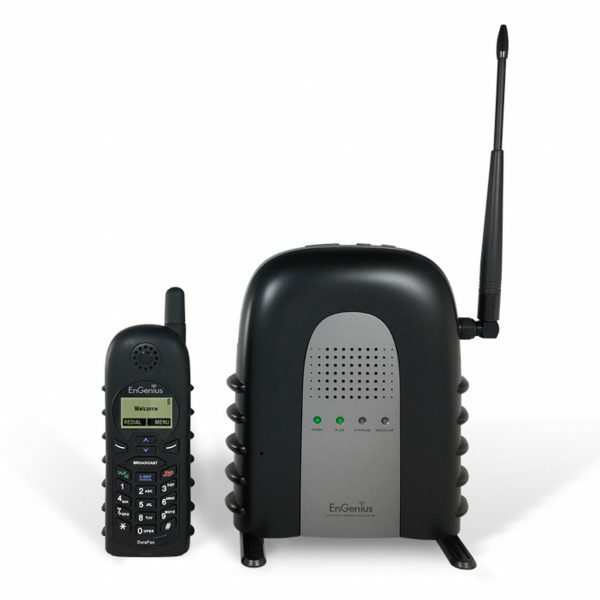 The DuraFon 1X Single Line Industrial Cordless Phone System has numerous features and tools to keep everyone on the system connected and communicating including simultaneous alerts and broadcasts allowing for instant communications to all handsets in emergency situations, as well as intercom and speakerphone functionality for hands-free communication. Despite its feature-rich functionality, the DuraFon 1X system is easy to program and install, so even new employees can be up and running in just a few minutes. Up to 12 floors in-building penetration; up to 250,000 sq. ft. of facility coverage and up to 3,000 acres of property, open land coverage. Add up to 9 phone handsets for each base station. 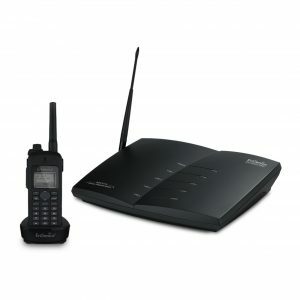 Add 2-Wy DuraWalkie 1X units for expanded user capacity. 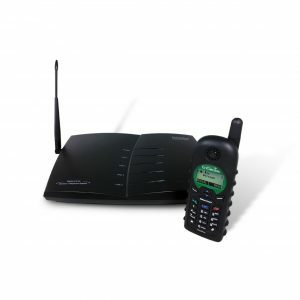 For companies that require a longer range phone solution than what DECT or Wi-Fi can deliver, the DuraFon 1X system can complement their existing system as it works behind any analog port (PBX, VoIP, PSTN, FXS, or POTS). 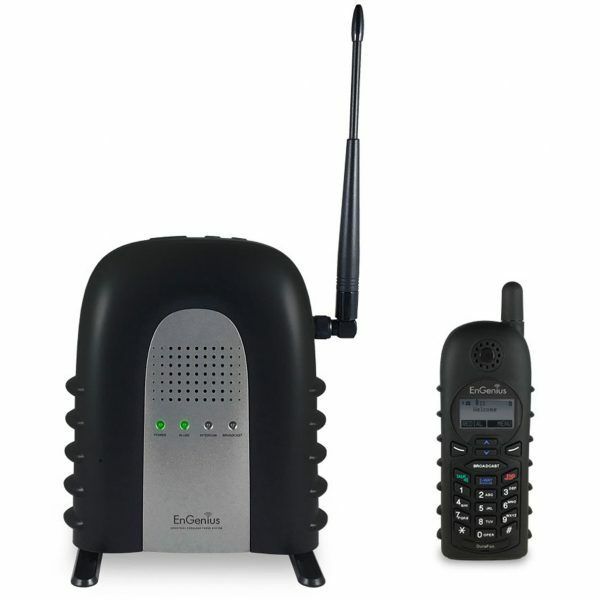 Broadcast Page half duplex (PTT) between DuraFon & DuraWalkie handsets and wireless full duplex intercom between DuraFon 1X & DuraWalkie 1X handsets. Includes Auto Attendant with call redirect assistance. Features a tested, rugged housing specifically designed for work in industrial environments. Finely constructed and drop tested for durability in a variety of environments. Each handset holds up to 6 hours of talk time and up to 50 hours stand-by time when fully charged.